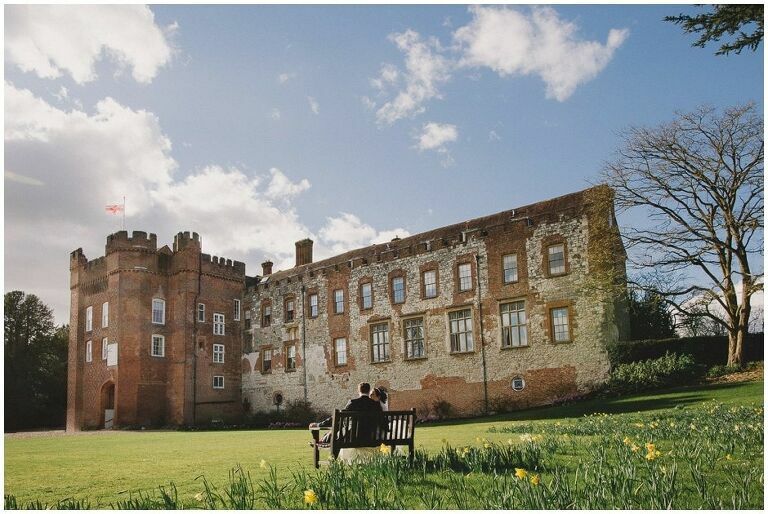 For a truly unique wedding experience, historic Farnham Castle is not only enchanting, but must surely rank highly as one of the most prestigious venues in the country. 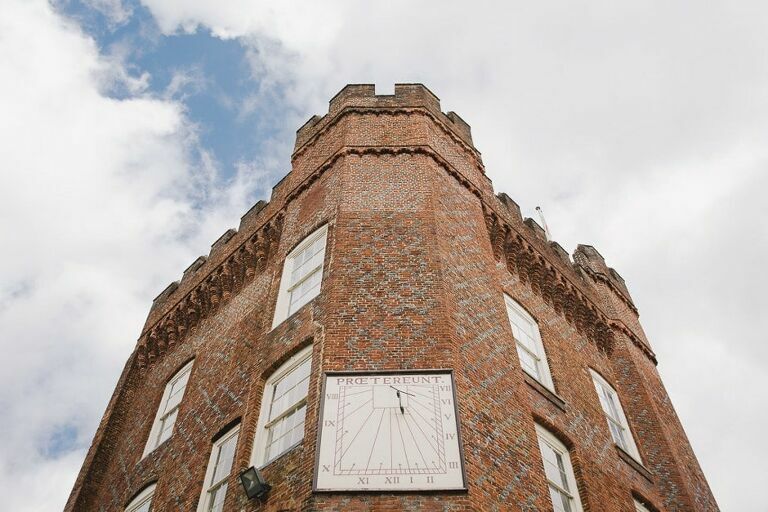 Its unrivalled ability to combine 12th century heritage and architecture with 21st century style, not to mention offering spectacular views over both the town of Farnham and the Surrey countryside, will give you a sense of partaking in history. Imagine being able to retrace the footsteps of royalty with the opportunity to celebrate your memorable occasion in a setting once reserved for the nobility. 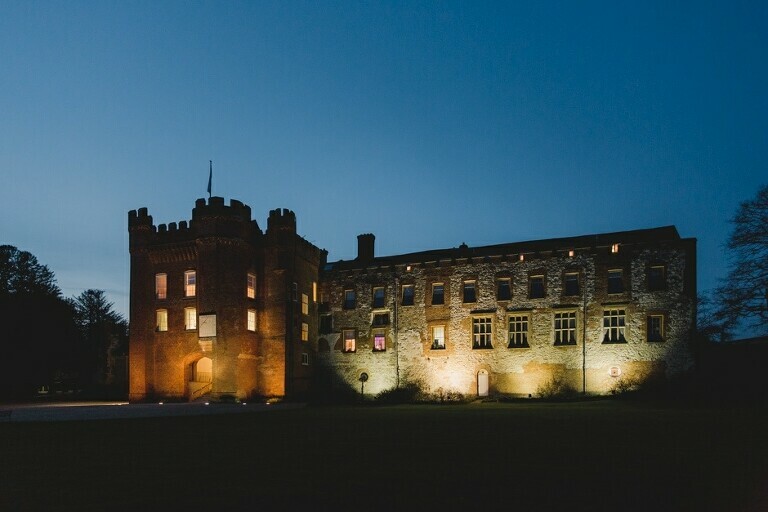 A wedding celebration held here will enable you to do just that – revel in being a part of history, enjoy the extraordinary surroundings and acquire unique wedding photography to savour for a life time. 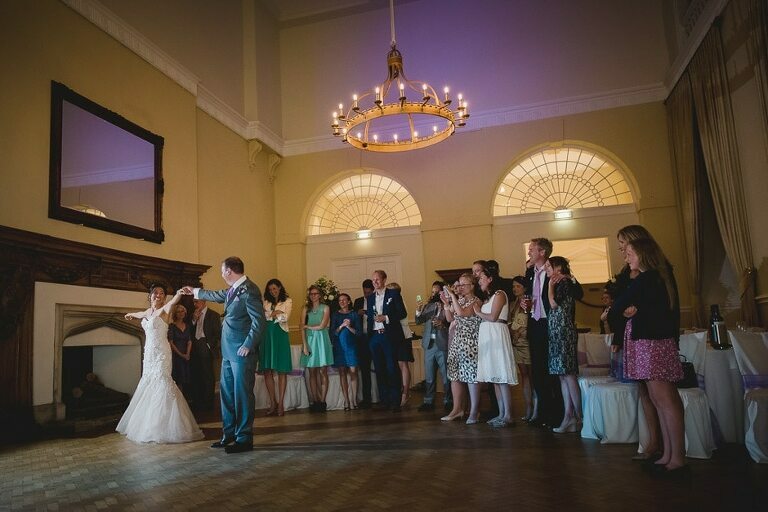 This venue is licenced for civil and religious ceremonies and provides a choice of three halls to accommodate these, each having their own character and elegance. 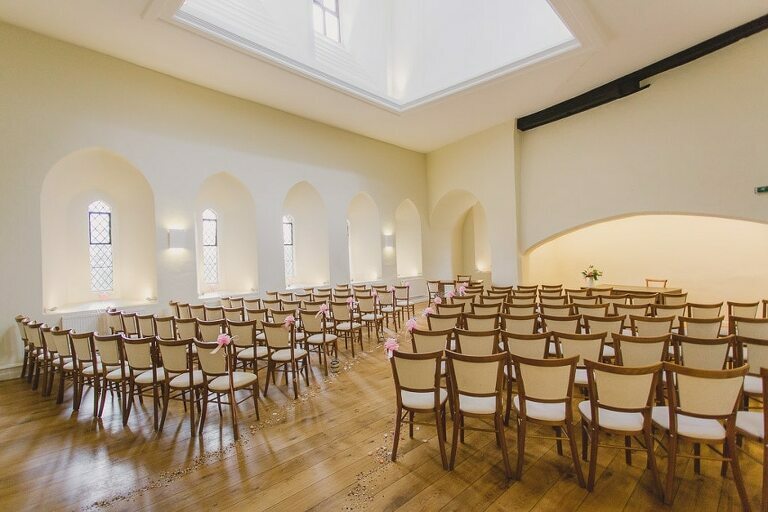 The Lantern Hall, suitable for civil ceremonies, is bright contemporary and simplistic, offering you various seating styles and the ability to inject individuality and colour to match your wedding theme. For more religious based ceremonies, the Bishops Chapel and Norman Chapel retain the architecture of the era. Both seating up to 60 guests, the Bishops Chapel showcases fine detail and 17th century style whereas the Normal Chapel provides a quaint romantic mood with its wooden flooring, grand stone arch and authentic chapel windows. The Great Hall, where wedding receptions are hosted, maintains its 12th century opulence and grandeur. Gold framed portraits adorn the neutral colour scheme and a stunning central chandelier and grand fireplace contribute to the splendour of the occasion. With seating for up to 160, the Great Hall is ideally suited for both dining and evening entertainment purposes, and easily strikes a balance between history and heritage, and modern, fun and contemporary. Accommodation, both in the form of a honeymoon suite for the newlyweds, as well as family and friends, is also available here. There is a selection of 32 en suite guest rooms, each with spectacular views across the grounds, and a spacious and luxurious honeymoon suite complete with grand king size bed, double en suite and roll top bath. The room has a regal feel with a feature fireplace, gold framed portraits of the era and elegant furnishings. 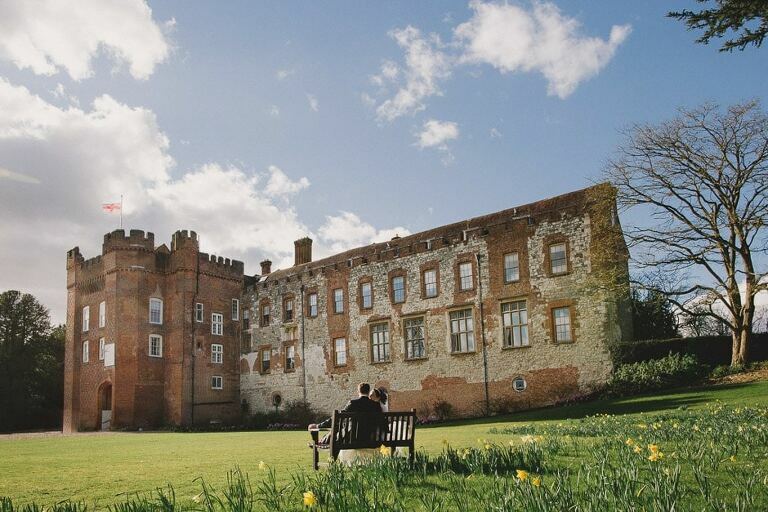 For any wedding celebration to be complete, it needs the addition of a beautiful outdoor landscape, and Farnham Castle provides everything you need. Five acres of lawns, glorious garden areas and breathtaking views across Farnham and beyond, allow both yourselves and your guests to enjoy an incredible outdoor atmosphere. Whether you wish to simply relax and enjoy outdoor refreshments, set up family games out on the lawns or explore the historic grounds, the opportunity for taking remarkable family or scenic photographs is limitless. 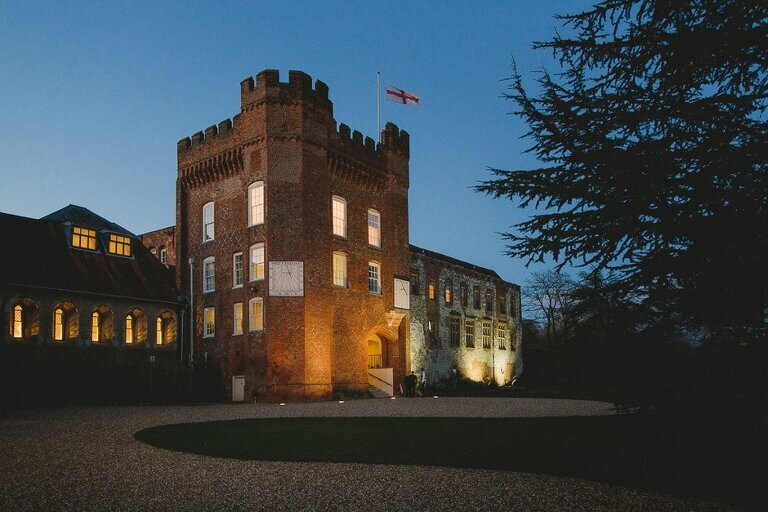 If you’d like to enquire about my availability for Farnham Castle please get in touch here.